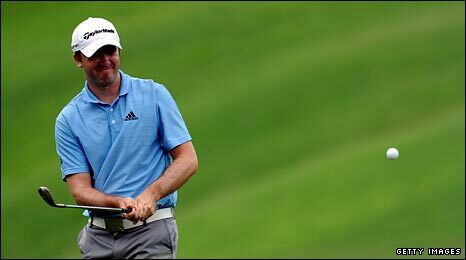 Martin Laird has become the first Scottish golfer to break into the world's top 50 since 2007. America-based Laird is ranked 49 after his third-place finish at the Asia Pacific Classic in Malaysia. Colin Montgomerie was the last Scot to take his place among the top 50, but Europe's victorious Ryder Cup captain now finds himself 404th. If 27-year-old Laird can maintain his standing, he will gain automatic entry to major championships. Laird had previously spoke about breaking into the world's top 50 in his BBC Scotland online blog. "Getting inside the top 50 and staying there is tough to do and that's something that I'll be working towards next season," said Laird. "If I can keep playing the way I have over the last few months it shouldn't be a problem and I can focus on climbing further in the world rankings. "I don't feel like I've reached the peak of my powers. I feel like I am just beginning to show what I can do on the golf course and there's a lot more to come from me. The Glasgow-born player took up a university golf scholarship in the United States before eventually earning his PGA Tour card in 2008. A year later he won his first tournament on America's top-tier circuit at the Justin Timberlake event, and he also qualified for the Open and the U.S. Open. In the process, he became Scotland's top-ranked golfer at 108th in the world. This season he has recorded six top-10 tournament finishes - twice as runner-up. Stephen Gallacher, 35, from Bathgate is the only other Scot in the top 100, ranked 82nd. Laird's rise comes at the same time as England's Lee Westwood ends Tiger Woods' 281-week reign as world number one.